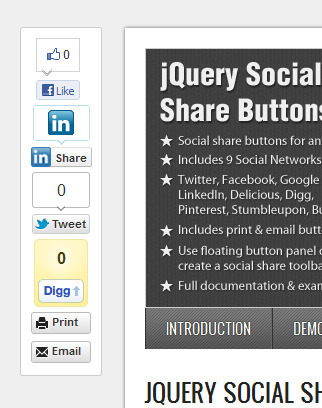 Add social share buttons to ANY website with the jQuery Social Share Buttons plugin – No need for PHP! 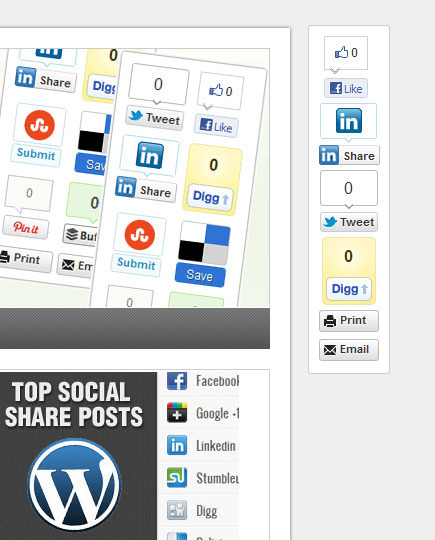 Looking for a WordPress version – see WordPress Social Share Buttons. 3 button sizes – vertical box with count, horizontal button with count and horizontal button no count. 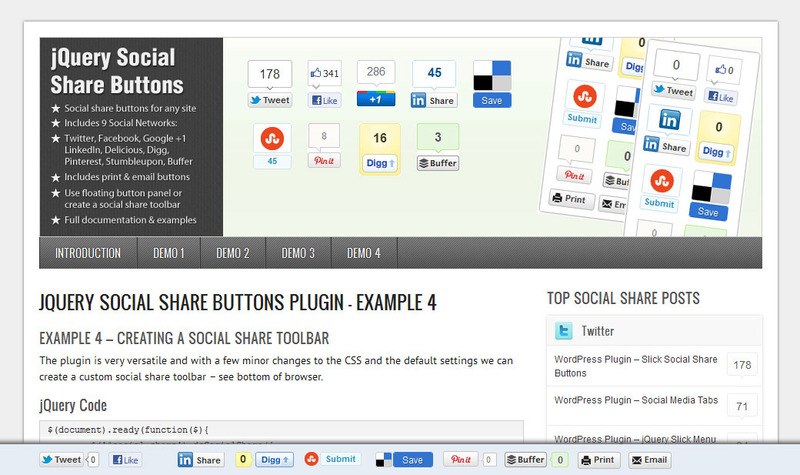 Multiple examples including custom styling.